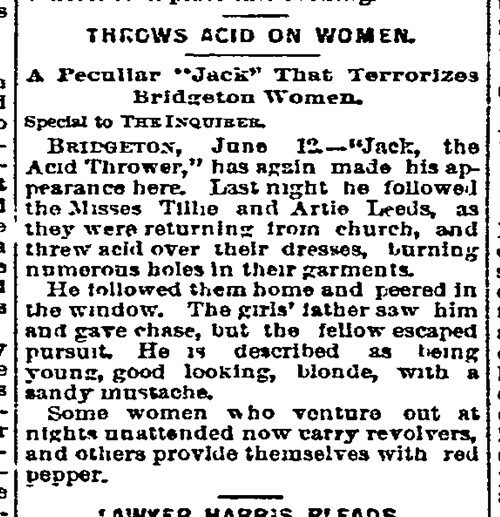 Philadelphia Inquirer, June 16, 1893. Despite the brevity of his sanguinary career, Jack the Ripper set an enduring standard for laddish misbehavior. The canonical Ripper slayings all took place between September and October 1888, but his given name was still being conferred on lesser bad men for years to come. For more Ph-unbalanced phun, check out the acid attack thread at The Hope Chest.